I have been an automotive technician since 1980 and am ASE certified. I'm also an automotive instructor and have more than 11 years experience working at Chevrolet and Mitsubishi dealerships. Having worked on military aircraft and heavy equipment, I'm comfortable with vehicles of any size or shape! My customers can count on me to provide high quality service in every appointment. Ben was amazing! Very knowledgeable and extremely efficient. I'm looking forward to booking him for all future work. Ben, was very pleasant, very quick and very knowledgeable. 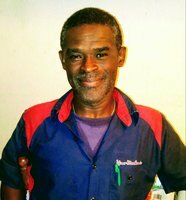 We have been looking for a mechanic for our car and this service, this mechanic was the perfect find! So glad we tried this device and got Mr. Ben Smith!! Incredibly nice and took the time to show me the problem, including comparison pictures between my unit and what a new unit should look like. Ben was able to quickly identify the issue with my vehicle. He didn’t rush to get through the appointment and answered all of my questions. His level of service was greatly appreciated! Extremely nice, and selfless. Provided more than sufficient information about vehicle! Ben did an excellent job. He was prompt, friendly and explained everything that he did to the car. It was a pleasure to work with him. Very knowledgeable and very friendly individual! It was refreshing to have Ben service my needs and demonstrate such a high level of confidence and professionalism. Keep this guy around! Fast, friendly, prompt and knowledgeable. I would recommend Ben for any repair work, and will request his service for future repair needs. Ben was outstanding: punctual, friendly, and knowledgeable. If I can book him I may never do to a repair shop or dealership again. Ben was great. He was polite, arrived early, and took extra time to make sure issues were fixed where and demonstrate he knew more about the vehicles being worked on than prior mechanics. Ben is going to be my "go to guy" for future service work. I was very impressed. He is the best mechanic I have ever had working on my car he goes above the Call of Duty to get the job done he came to replace a starter that's starter was a bad he went to two other stores looking for a starter they were bad then he eventually ended up getting a brand new starter with no additional charge to me he came put it on on top of that I had a flat and he fixed a flat he is the best I have ever had thank you so much mr. Ben and look forward to doing work with you again. Ben is professional, friendly, fast and super transparent. Highly recommend! Ben showed up early and was thorough. As always a pleasant experience. Ben reassured me that sluggishness I was experiencing was not transmission or any other major repair. Inspected thoroughly, cleaned and lubricated necessary parts. My car is driving better. Thank you Ben! Ben is the reason I will continue to use YourMechanic! Excellent service!!! Quick, very thorough, and very polite! Great guy and great mechanic! Ben was such a pleasure to work with. His professionalism and knowledge were awesome. He performed the job very well, in a short amount of time. He gave us pointers about the vehicle and made sure that everything was working properly before leaving. I would definitely recommend Ben to anyone!!! Ben was really nice and fixed my Mini Cooper up in less than 30 minutes! Professional and informative. Educated me on my vehicle. Will be calling him on both of my vehicles and recommending him to friends and family. On time, excellent work & very thorough.